UK mobile operator EE has revamped its range of 4G wireless mobile broadband offerings. As, ISP Review reports, the latest one off/ monthly price plans on offer now come with data allowances as high as 500GB per month. EE offers a good range of mobile broadband plans with the choice between single month and 18 month durations. 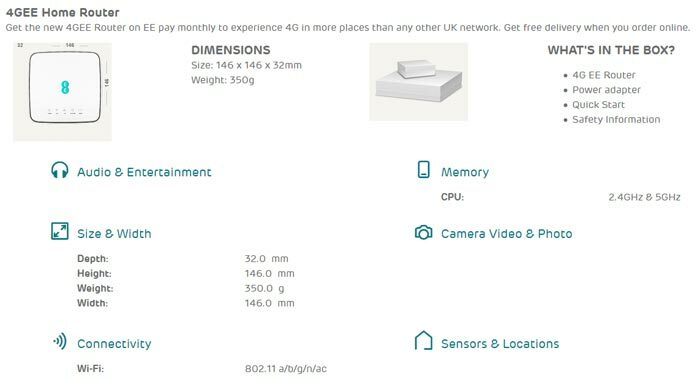 The issue with the single month plans, as tabulated here, is that you need to stump up £100 in addition to the data fee for the 4GEE Home Router hardware to distribute the data in your home via Wi-Fi. 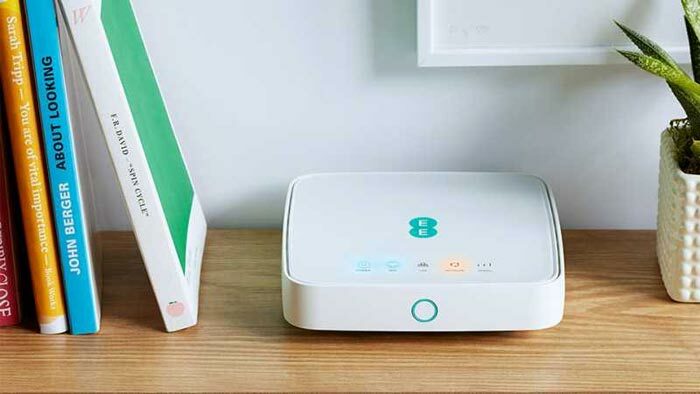 The 4GEE Home Router can provide downloads at up to 90Mb/s, depending upon location. Overall though, the issue is the relatively high monthly price of the data, if you live somewhere and have access to cheaper and faster fibre internet services, for example. In brief the plans range from 50GB at £35pcm, and the best selling plan is 100GB for £45pcm. There are also plans offering 200GB (£60), and 300GB (£80) and now, as headlined, customers can opt for the 500GB plan which costs a tidy £100pcm. If you are already an EE pay monthly or SIM plan customer you get an extra 5GB pcm on these deals. I remember signing up for an ADSL package with a download limit, back in the early noughties. It was pretty horrible to put up with even then, watching the data get used up (up to 100GB with Pipex I think) in a four person family. I am happily ignorant of know how much data the family uses per month now, via our Virgin Fibre package. The value of these EE 4G mobile broadband contracts is, of course, greatest if you travel/live somewhere with no better fixed line alternatives. Perhaps you travel a lot and don't want to rely on hotel Wi-Fi or similar, or you may live in a remote spot with only slow ADSL, or dial-up… EE is working to extend the geographic coverage of its 4G network to 95 per cent of the UK by 2020 and it will likely be faster than fixed lines in a number of areas/situations. Lastly, if the 4G EE signal is also rather weak where you reside, ISP Review notes that the company sells an external antenna plus installation service which could make a big difference to latency and speeds achieved. Wowsers - expensive but my phone connection is currently better than my home internet connection. This could actually be a sign of things to come. MadduckUK, an old member of these forums, had been using his phone connection on Three for about 2 years with only a two hour period in that two years where the network went down. He would often beat my pings on games, despite me being on a Virgin Media Vivid 350 connection. He'd get around 40Mbps down and 25-30Mbps up, which is pretty decent. If things carry on this way, I can definitely see the days of physical wires to the house being a thing of the past. Soon. At my parents my phone gets better and more consistent speeds than the broadband, which is crazy when you think about it and the fact its an almost brand new house. Shame that this is so expensive monthly. Hopefully others will get involved in similar offers and prices drop.